Puppy Chow is one of my favorite easy to make snacky desserts. You can create so many different varieties to suit the event theme. With football in full swing, our Peanut Butter Cup Puppy Chow is a guaranteed crowd pleaser. Measure the cereal into a large bowl and set aside. Line a baking sheet with wax paper and set aside. In a microwave safe medium bowl, microwave the chocolate chips, peanut butter, and butter for 1 minute, then stir. Continue microwaving in 30-second intervals, stirring in between. Pour the mixture of the cereal and gently mix until the cereal is all coated. Transfer the mixture to a 2-gallon ziplock bag and add the confectioner’s sugar. Seal the bag and shake until all the cereal is coated. Spread the cereal out onto the baking sheet to cool. Sprinkle the peanut butter cups and peanut butter chips throughout the cereal. 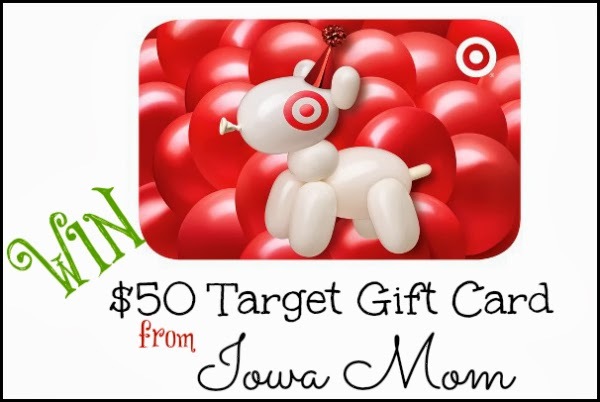 One lucky reader will receive $50 Target Gift Card! Ends January 24th at 11:59pm, open to US residents only, ages 18+. One entrant per household. Void where prohibited. To enter please use the Rafflecopter form below. Good luck. I love the original...just had some at Christmastime! I have never had it, but I'm definitely going to have to try this recipe. I love peanut butter cups. Thank you for the chance. I've never tasted puppy chow but your recipe sounds DELICIOUS! The peanut butter cups and peanut butter chips drew me in quickly! I have never tried Puppy chow before, and I have just now heard of it! I would love to try the Peanut Butter Cup puppy chow recipe that is posted here. It looks so delicious! Kate J- I have only had the original puppy chow and never added anything with it. But do love it! I've never tried it but it sounds wonderful!!! I love peanut butter chips and cups! I want to try the puppy chow shown. It looks delicious!!! I like the original Puppy Chow. I've bought the bags of the sweet treats myself, but never made it. (Not entirely sure those bags were Chex Mix though). LOVE the peanut butter puppy chow! My granny always called it "chicken scratch"!! But, I use almond bark instead of semi-sweet chocolate chips!! I prefer it better!! The original chocolate is my fav. I've actually only ever made regular puppy chow and just recently on pinterest found a few different ideas on how to make it, this it such a fun way to mix it up a little! It looks delicious! I have never tried "puppy chow"...interesting recipe! I've only tried traditional puppy chow, and I love it; however, your recipe looks delicious! I like the plain fane puppy chow but would love to try them all! i love puppy chow with dark chocolate and lots of peanut butter! I like just the plain original puppy chow mix but this looks awesome too. Ooh,I have never actually had this but I am dying to try it now! Going to make it for the game this weekend! I have never made this Puppy Chow before...but I am printing the recipe to make some! It looks YUMMY!!! Never even heard of puppy chow, but it looks SO good! I like the chocolate PB chow. I have never tried this treat. I haven't tried this chocolate. ive never had..maybe its the name...? Never tried it before, but sounds yummy! Peanut Butter Cup is by far the best. Who wouldn't love chocolate and peanut butter mixed together!!! I have not tried any Puppy Chow recipes, but this one looks really good. Yum. This look good! I have never had Puppy Chow before. I have never tried anything like the recipe above but would definitely be up to try it out.... it looks delicious and I am going to print and copy the recipe! Will let you know !!! Thanks for the giveaway and fab recipe!!! I would mix pretzels, peanuts, almonds, chocolate chips, raisins, dried cranberries, and small marshmallows. This is a great idea for kids snack. I love Puppy Chow - my daughter and I made two batches for Christmas. I never thought of using it like this though - going to next Christmas. That peanut butter cup puppy chow looks pretty amazing! Oh my gosh, I haven't had puppy chow in years. And this version looks extra delicious. I think I will make it for the super bowl! This looks really good. I'm not a huge fan of peanut butter though. My favorite mix is the regular chez mix but home made with extra butter and Worcestershire sauce. And I love muddy buddies, chocolate with powdered sugar. 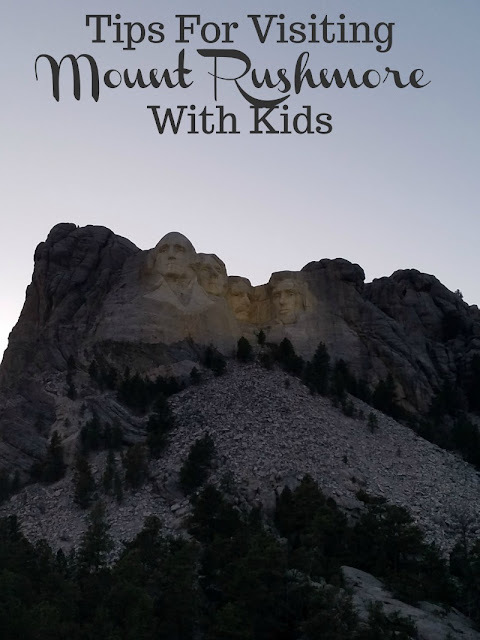 Thanks for a new idea bc my kids and hubby will love this! wow this sounds really good! going to try! I have made the Chex cereal snacks but nothing like this recipe. I like the chip combination. This puppy chow sounds sooooo goood! I have never seen it made with reeses pb cups before! I love puppy chow, just the regular kind (peanut butter,chocolate and powdered sugar), but this recipe looks amazing!! I have never tasted Peanut Butter Cup Puppy Chow, but it sounds good!! I never did try Puppy Chow of any type but I do like the recipe above! I love puppy chow! I have only tried the original but would like to try more varieties. That looks so good! I have had this, but not with the marshmallows, mini reeses or pb chips. I'd love to try that! That is definitely my favorite! Hmmm never heard of this treat before. Looks yummy! I have tried the puppy chow without peanut butter and it was yummy! This sounds fabulous!! This would defintely be my favorite!! Hello, I have never had puppy chow, I have had a chocolate chex mix before though. Thanks. Vicki. my favorite is the chocolate puppy chow mix. looks good! I have never tried it before. I love any puppy chow!! I have never tried this but it looks good and I think my son would love it. I've only had the "regular" puppy chow before, but I think it would be delicious to use dark chocolate, sea salt, and pretzels! YUM! Good ol' fashioned puppy chow. Now I'm hungry for it, and might have to make some this evening! I've never tried Puppy Chow. I thought it was a recipe for my dog LOL .... oopsie! I have tried peanut butter puppy chow but never chocolate peanut butter cup puppy chow it sounds and looks delicious! Never tried it before but the peanut butter one looks yummy. Thanks for sharing. I've never tried it before. Looks too sweet for my taste. I've never had Puppy Chow, but I plan to try this recipe. I looks delicious. I've never tried Puppy Chow but it looks delicious! I never heard of it, although I have make "Chex Mix" years ago. it has to be tasty though, given the ingredients. I have never tried it but it looks delicious! This looks really good, never heard of it before! I haven't tried this yet but this would be a good addition to a party table! This would be a good addition to a party table! Looks tasty, I never had it. Looks tasty, never had it. I never has puppy chow but it work for a crowd. I haven't tried it - would like the Peanut Butter Cup. Never had it but would like to try. I like the original bit would love to try the chocolate peNut butter! I've never had it. Would love to try a few recipes of it! I love love love the original puppy chow, but I can tell you, I would love to make this one, too! I have never had puppy chow, but have always wanted to give it a try - make and eat it! I have never tried puppy chow, but I have always wanted to make and eat it! Original Puppy Chow is my favorite! I've never tried it, but I really want to! I've only had regular old puppy chow ;) But this one looks GREAT! I have never personally tried puppy chow, my kids love it but have only had it at friends houses or the purchased chex mix bag. I love this recipe and it sounds really good. Might try to make it! I haven't tried any of this yet. I have had the Muddy Buddy Chex Mix, but that's all. Looks good. Honestly not sure that I'd eat it, since it is pretty much all sugar and carbs. I don't think I would like the peanut butter as well as some of the others--maybe the chocolate ones? Although I *do* like peanut butter cups!! I've never had Puppy Chow, but this recipe looks good. This is one of our family's favorite all time snacks. We usually make it on family movie night. Thank you for the super giveaway opportunity. Keep up the terrific blogging. Haven't tried it but...but gotta say I was a bit nervous when I first read the question without following the link! I havent tried any of the Puppy Chow Mix, but I cant wait to make it for my next family gathering! Have not seen one with mini peanut butter cups but sounds YUMMY! 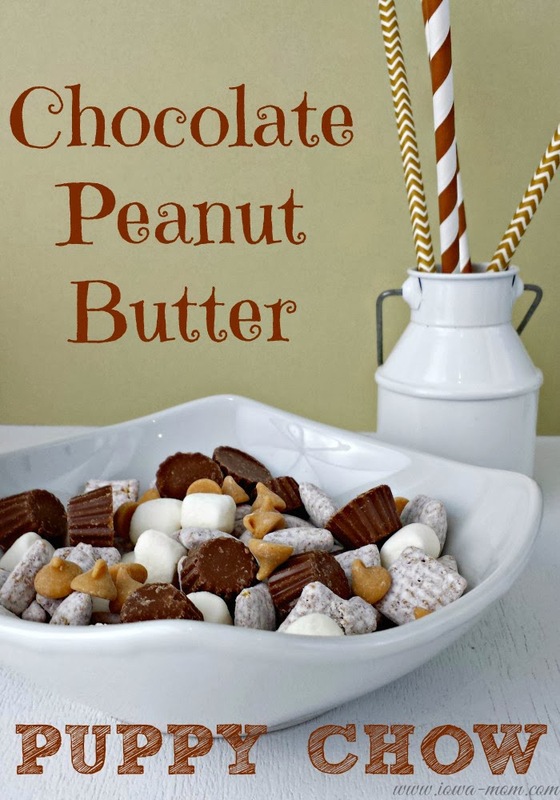 Have not seen one with mini peanut butter cups but sounds YUMMY! Great sweet treat for a super bowl party. I guess I'm strange. I just don't care for Puppy Chow (don't like the peanut butter), so I'd like one with all peanut butter elements removed. I haven't tried it, but it looks good! I've never tried it but it sounds yummy !!! I love peanut butter chips and cups! I have not try this yet, but I will try it later. SHUT UP! I love this. I have never done the PB cup and I LOVE PB CUPS!!! Can't wait! Never had it, but it looks wonderful!! I have not try this snack yet, but I will try it later. It is funny how you named it puppy chow! I love eating chocolate peanut butter cups! I never tried it but it looks amazing! I thought it was going to Puppy chow... not chex mix puppy chow LOL yummy! Hello, I have never had it and have not even heard of it before. Unfortunately I can't eat it because of the wheat and sugar in it, but it does sound delicious. I have never had Puppy Chow before and this one looks and sounds and looks yummy. I'm sure everyone heard would love it. Never had it but it looks delicious! I haven't but it looks so good. I love peanut butter and chocolate. I like chex too. Awesome combo. I love so many of the recipes! The original Puppy Chow is a favorite. I also really like Muddy Buddies and recipes with caramel. I think I'm going to try your recipe next--the addition of peanut butter cups is an excellent idea! I've never tried this but I have had some similar mixes :) Thank you for sharing the recipe! I've never tried it, but really want to! Looks so good! Never tired it but looks yummy! Definitely will be making soon! I've never tried this, but it sounds delicious. I've never had puppy chow before but it sounds delicious. I've never tried this, but it looks good! I had a chocolate mint puppy chow that a friend made this Christmas. Very yummy! Oooo. . . peanut butter. Never thought of adding this to the original recipe. I die for the original. This just made it 1000x better for me! In my day there was only one kind of puppy chow so I guess my "favorite" would be the original. I haven't tried it! I have been wanting to make it but unfortunately we can't eat peanut butter in this house so I'd have to try something else. I haven't tried it but I have been wanting to. We can't eat peanut butter in this house though so I'd have to try something else. I've never tried this, but it sounds great! I've only had the old kind but what could go wrong with peanut butter cups added? I've never heard of puppy chow, but I love anything with chocolate in it. I have never tried it, for a second I thought it was for dogs until I saw the recipe. Peanut Butter Cup sounds great I love reeses so I know I would love this. This looks yummy! I love the original peanut butter and chocolate but I also tried an awesome lemon one. Yum! Haven't tried this variety but it looks really good. Will be printing out the recipe and trying it out at home! Haven't had this variety but it looks really good! Will be printing out the recipe and trying it out at home! I love the good ol' puppy chow recipe. Why mess with perfection? ;) I look forward to trying these, though! I like the original -- had it at Christmas and it's addictive and delicious! I have actually never had the opportunity to try this but it looks delicious! I have only tried the original recipe, but that was a long time ago. I love the original. But recently I've seen a lot of variations that look worth trying. I think the kind I've tried is called Muddy Buddies. never heard of it or tried it, but it looks really good! would love to give it a try sometime. It looks delicious. I must give it a try! I had never heard of Puppy Chow until today - but the recipe combining the peanut butter & chocolate sounds great! I've actually never tried Puppy Chow before, only heard of it. But it looks delicious! I've never tried this but it sounds wonderful. This sounds like a very easy recipe. I've never had puppy chow before, but it looks like something my kids would love! The very name turns me off NOW! I love regular puppy chow! I've never tried it but the muddie buddies sounds delicious.